Scary Designs! Render Your Best Jack-o-lantern, Win GrabCAD Gear! Scary Designs! 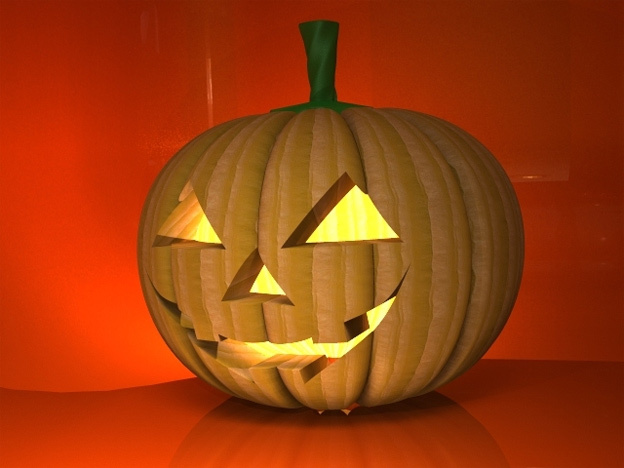 Model and Render Your Best Jack-o-lantern, Win GrabCAD Gear! Halloween is just around the corner, which gives us a perfect excuse to have another fun competition to test your hauntingly amazing 3D modeling and rendering skills! We're going head-to-head with the PTC Community again to see who get the most contributions! Ready to carve some 3D? Hit it! First, if you've never carved a real pumpkin, you must. Even better if you grab an extra to make a Pumpkin pie. (I suggest this recipe!) After you've gotten your fill of inspiration from that, why not model a pumpkin up and create a carving that would be difficult with a large kitchen knife :) The model above is a fine example of a Pumpkin model by GrabCAD member Gee. And we've got some others to get your scare juices flowing. Model a Jack-o-lantern, Win GrabCAD Gear! Lot of different approaches you can take to modeling a pumpkin! How would you do it? Just upload your model and tag it with 'scarydesign' to enter! We'll run the contest until November 15, 12pm noon EST. At that time we'll look at all the submission and choose three designs with the most “likes” to be the winners of the GrabCAD gear. Oh yeah! The competition is ON! The crew over at the PTC Community are up to the challenge as well! We're going head-to-head to see which community receives the most submission from their members! Bettina has put up their own post on Scary Design as well, with all their submissions being posted over here. So, let's show them what we can do and pump out some scary pumpkin designs!